In addition to our undergraduate and graduate programs, we offer four post-baccalaureate programs for students who have already earned at least a bachelor's degree and completed prerequisite coursework. These programs offer dynamic experiences for individuals who strive to improve the health of individuals and communities in Connecticut and beyond. Each program has its own admissions process, course requirements, and field experience components, but all will prepare you to take the next step in your chosen career. 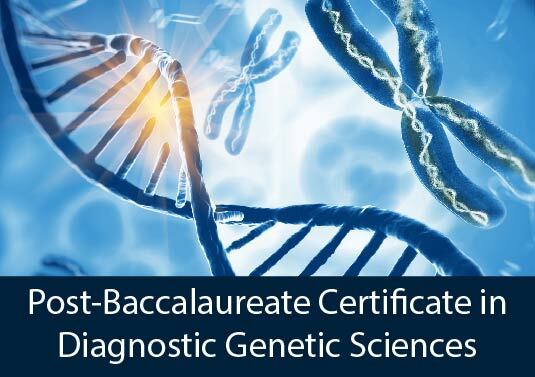 The two-year Certificate in Diagnostic Genetic Sciences is available for individuals with a bachelor's degree in life or biological sciences who are interested in enter the ever-growing field of genetic testing and research. You'll complete three semesters of coursework and laboratory training at the UConn-Storrs campus focusing on cytogenetics and molecular diagnostics. Then, for your fourth semester, you'll choose to concentrate in one area or the other as you complete your clinical internship at an affiliated laboratory. Completing this program will allow you to sit for the appropriate national certification exam administered by the American Society of Clinical Pathologists (ASCP). 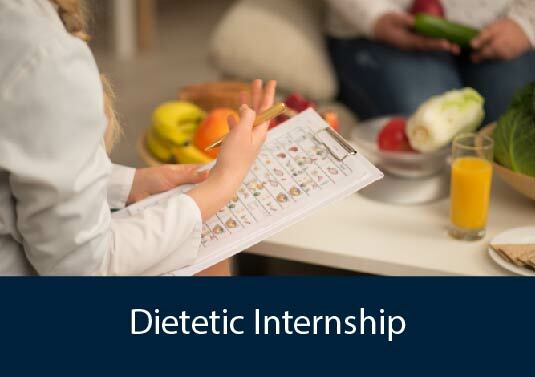 The Dietetic Internship program is available for individuals who have earned a Bachelor's degree from an accredited didactic dietetics program and who wish to fulfill the supervised practice requirements for licensure. Over 9 1/2 months, dietetic interns complete 1200+ hours of supervised clinical practice in medical nutrition therapy, community nutrition, food service management, and research. You will earn six graduate-level credits for your internship and, upon completion of the program, you'll be eligible to sit for the national registration exam. Medical Laboratory Sciences (sometimes also called Medical Technology or Clinical Laboratory Sciences) is the branch of laboratory medicine that deals with the study of blood and other body specimens to aid in the diagnosis of human disease, determine optimal therapy, and monitor the progress of treatment. 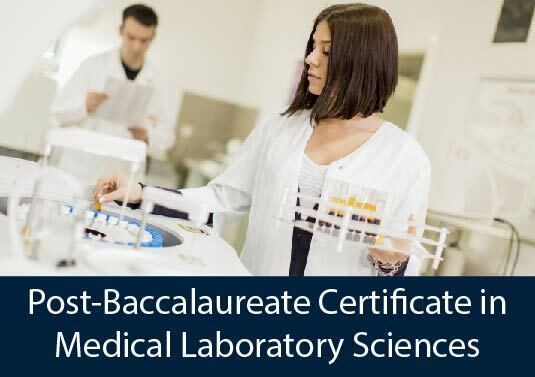 The 17-month post-baccalaureate MLS certificate is available for individuals who have already earned a Bachelor's degree in biology, chemistry, molecular and cell biology, or a related subject and who have completed appropriate prerequisite courses. You'll spend two semesters and a summer session at the UConn-Storrs campus completing didactic coursework and clinical laboratory training before spending a final semester in a clinical rotation at one of several affiliated laboratory sites. After completing the program, you'll be eligible to sit for the certification exam administered by the American Society for clinical Pathology (ASCP). OSH is an in-demand profession where job opportunities and growth exceed available qualified professionals. 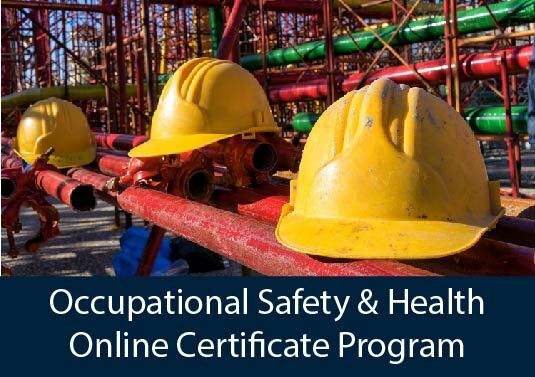 The 15-credit Occupational Safety and Health Online Certificate Program is open to individuals who have already earned at least a Bachelor's degree from an accredited college or university. Coursework covers a broad spectrum of workplace health and safety issues and allows you to choose multiple elective courses to meet your specific needs and career goals. All courses are developed by seasoned OSH practitioners and rely on real-world case scenarios that reflect current trends, challenges, and issues. The program can be completed 100% online or as a blended program combining distance and in-person learning on the UConn-Storrs campus.